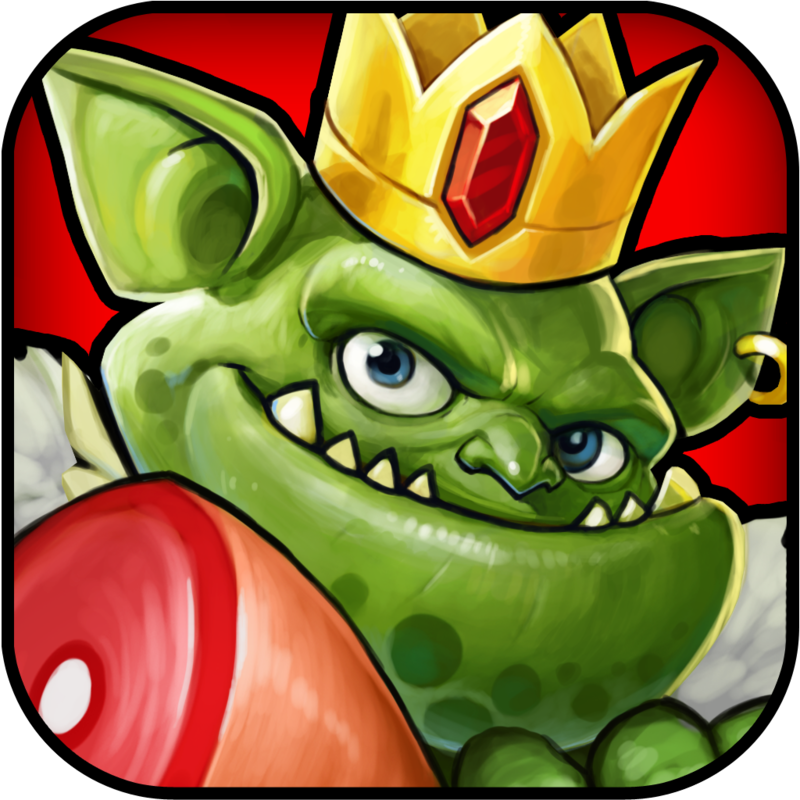 Dungelot 2 (Free) by Red Winter Software Limited is a bite-sized dungeon adventure for your iOS device that is a follow-up to the original game from a year ago. If you enjoy dungeon crawlers but don’t have the time for a full game, then Dungelot 2 will satisfy your needs for quick dungeon adventure while waiting around. While I do love the adventures that you can get in randomly generated dungeon crawler games, they can definitely be a big time sink. 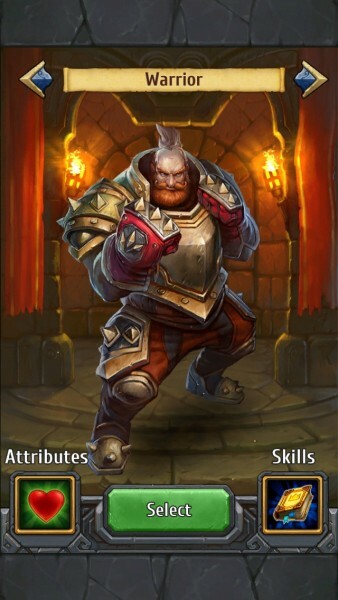 You will need to spend quite a bit of time to play, invest in your character, gather loot to become stronger, and all that fun stuff. But in today’s fast-paced world, not everyone has time for that. 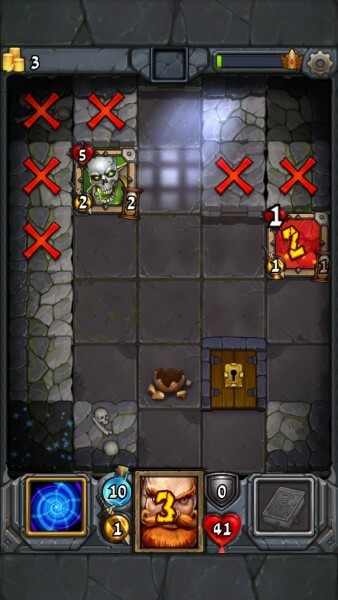 So when I heard of the roguelike Dungelot 2 coming out, I was definitely interested in checking it out for myself. Unfortunately, I did not play the original game, but it’s definitely on my list of games I’m going to check out. 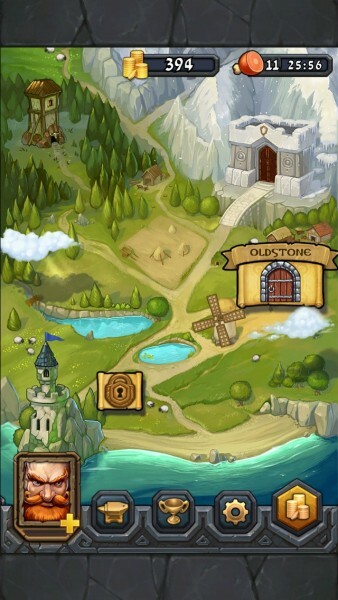 The visuals in Dungelot 2 are quite cartoonish but still hold a delightful charm to them. 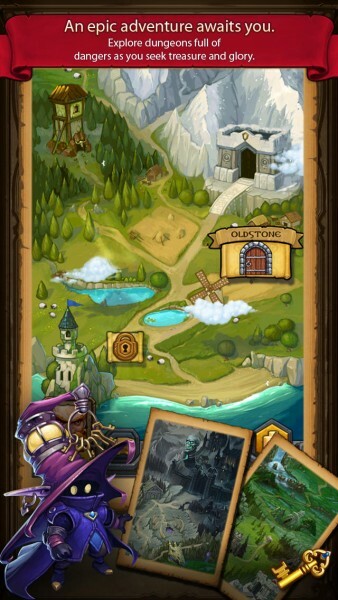 It is a bit of an improvement over the original Dungelot, though the original still had some quality graphics as well. 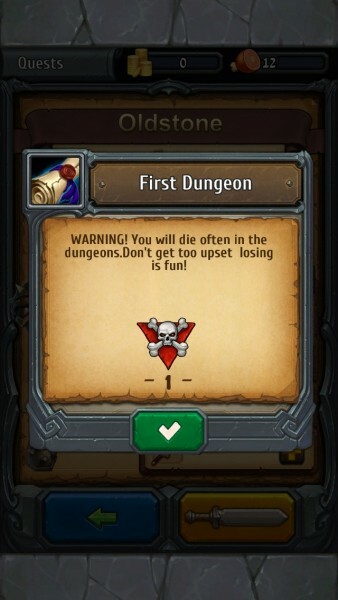 I experienced smooth gameplay and animation in Dungelot 2 on my iPhone 5s, and the adventurous music is quite fun to listen to while you go on your quick dungeon runs. For those unfamiliar with how Dungelot works, you basically just go through randomly generated dungeons from a top-down view, and you let your fingers do all the questing for you. 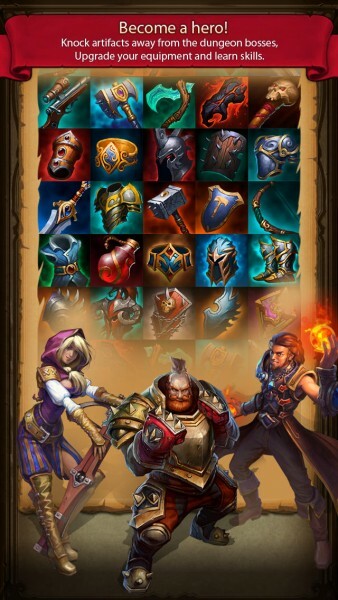 Before you embark on each journey, you can take various items with you to help you on your adventure, as well as equip your character with the proper gear to survive for a longer amount of time. 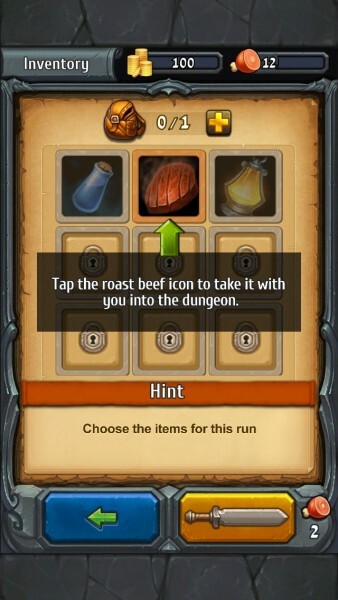 Then, as you’re in each dungeon, just tap on the blocks to uncover them, which will reveal money or treasure to spend on more gear and items, or you can find hidden enemies that stand in your way. To attack, all you need to do is tap on your target to do a basic move. 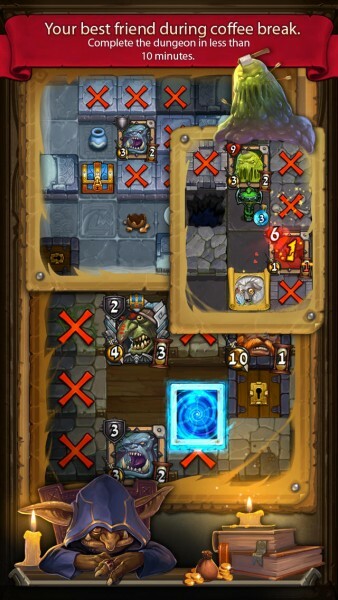 You can see the enemies remaining hit points in the corner of their tile, and you’ll find your own status bars at the bottom of the screen. 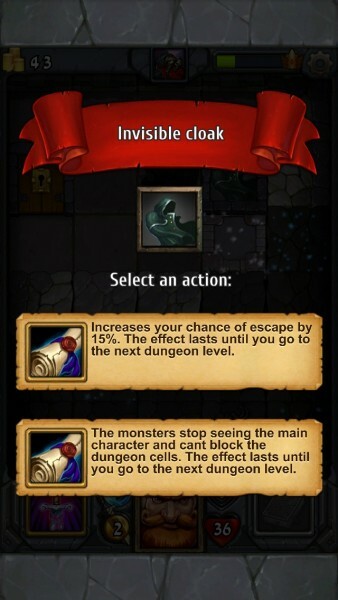 Sometimes you will uncover an ally that can help you in battle, as well as power-up items and spells. Don’t forget to pick up the hearts as well, since they will refill your health by one each. 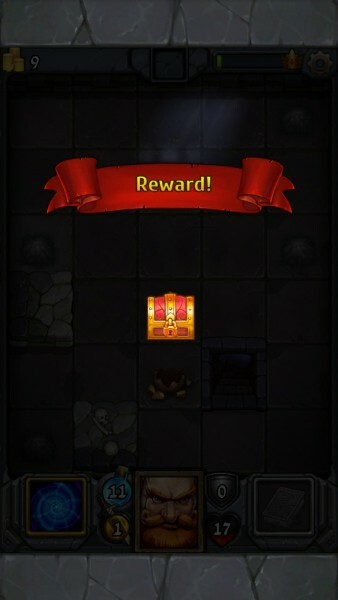 For each run, you will start out in one dungeon, but you can advance to the next floor by finding the key to unlock the door. 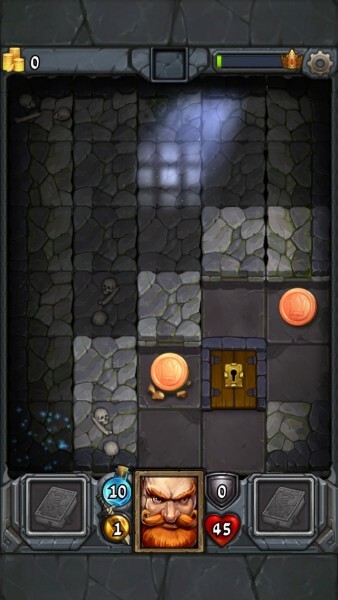 Technically, you can move on to the next floor once you find the key, but it’s recommended to just uncover all of the blocks for more loot, but be careful of monsters who await you. 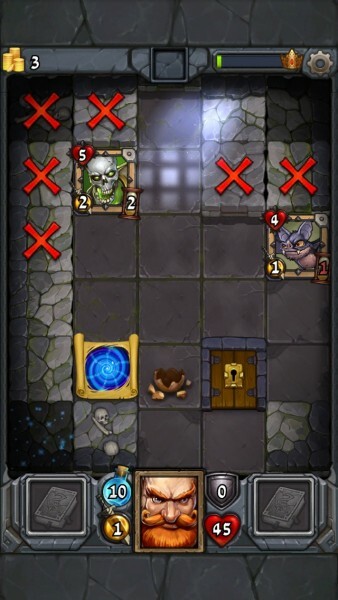 Dungelot 2 is a roguelike game, meaning that you will die — a lot. But that’s the point of the game, so it can be played in short bursts whenever you get a few minutes to spare. 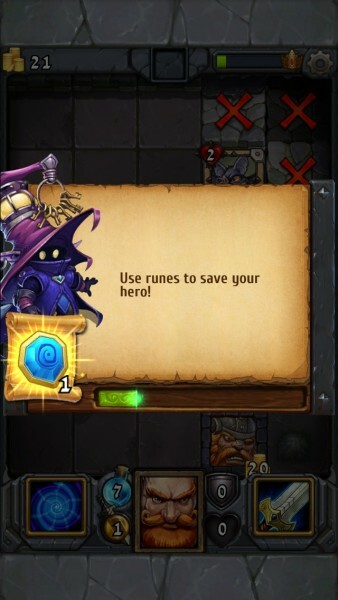 Of course, the game gives you the chance to extend your quest when you die by asking for runes in return, which is the game’s premium currency. 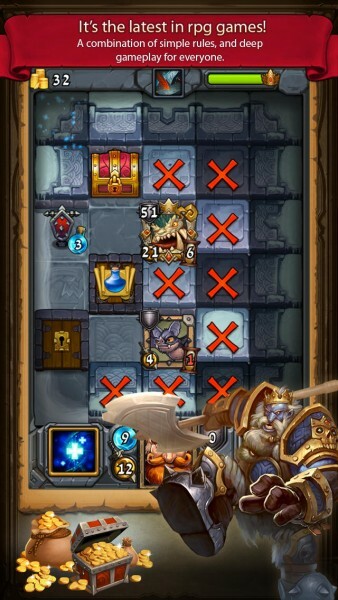 This is rather unfortunate, since the game is run on a freemium model, and you will need to pay for the runes (and more coins if needed) with real cash, or you can grind a lot for them. 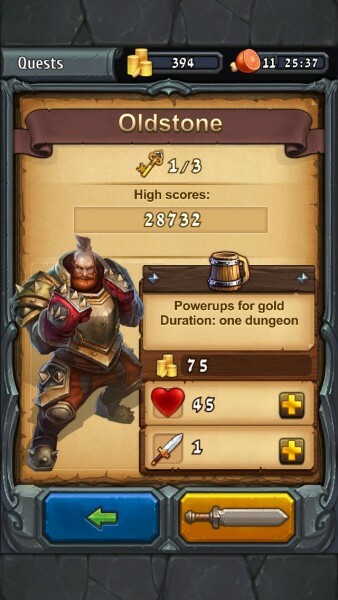 It also uses that dreadful energy system, which is one of the most annoying things that have come out of freemium games as of late. 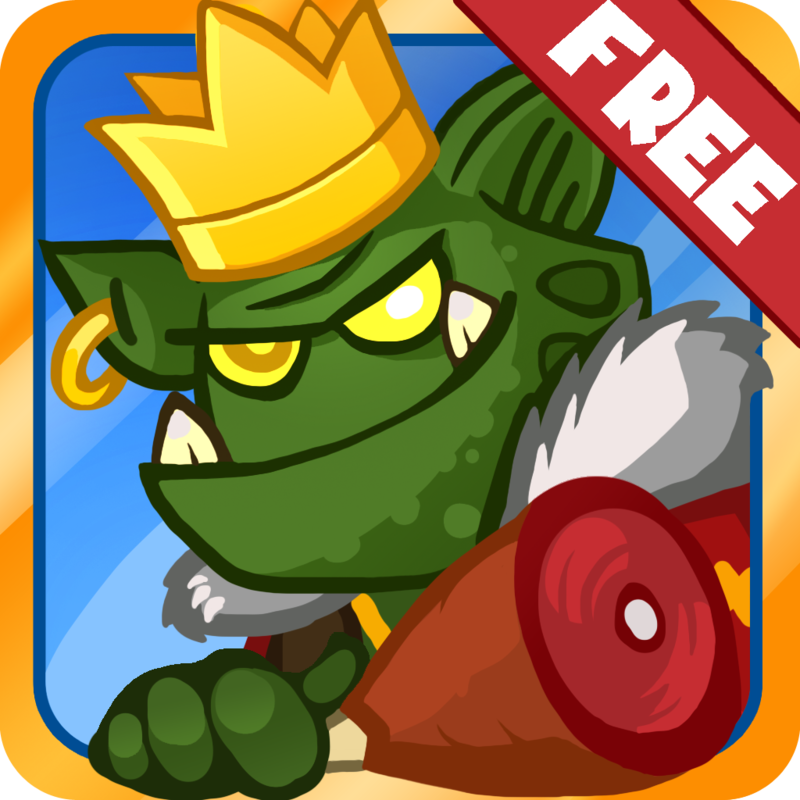 I honestly would have preferred to see Dungelot 2 as a paid game like the original, and just not have any of that freemium nonsense, but this is how the world of mobile gaming is these days. 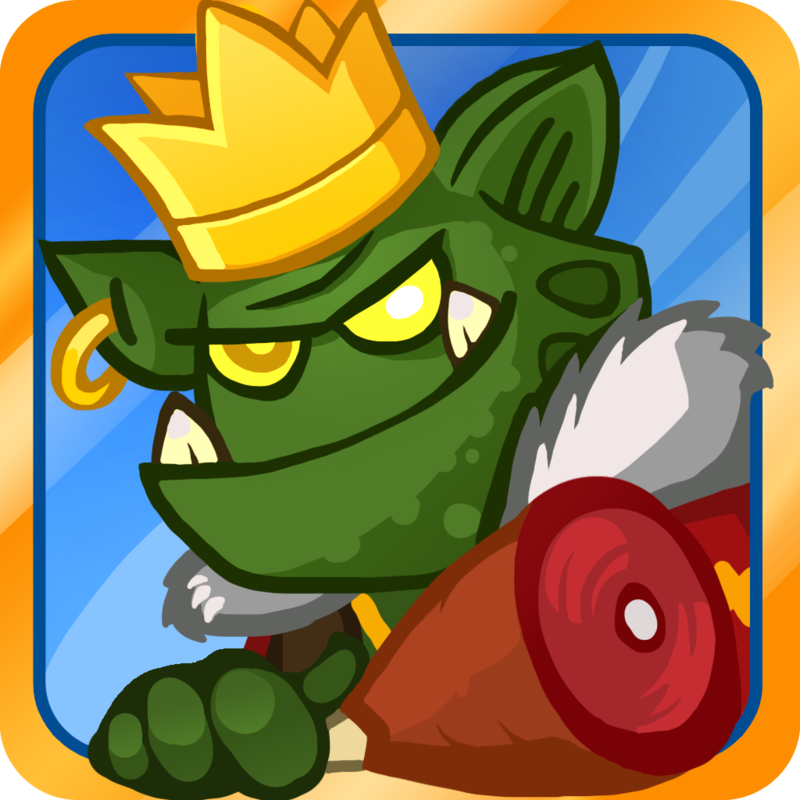 If you can tolerate freemium games that are riddled with in-app purchases, then you should check out the universal Dungelot 2 in the App Store. 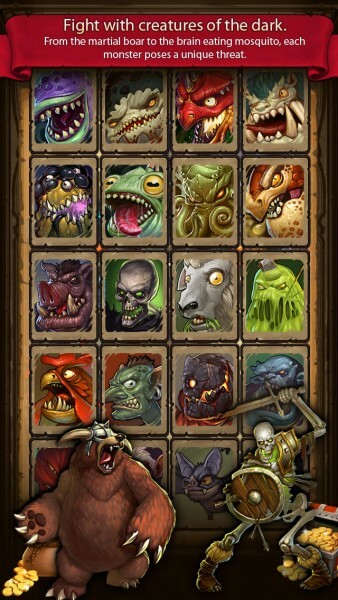 If not, I would stick with the original Dungelot for $1.99.